This is a web page that will only be used to keep parents and the community up to date with events that happen at our school. As events occur we will update this page. 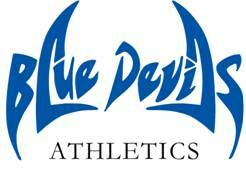 Scroll down the page to find information about sports, parent involvement, and school/county events. Aspen student logins are available in the office to any parent that would like to pick the up! MORE THAN 6 TRIPS TO OFFICE IN A SCHOOL YEAR WILL LEAD TO SUSPENSION. Level 2 infractions ( disrespect to staff, threatening students, vandalism, causing bullying etc..) are intermediate acts of misconduct that require administrative intervention. These acts include, but are not limited to, repeated acts of minor misconduct and misbehaviors directed against people or property, but which do not seriously endanger the health, safety or well-being of others. Level 3 major infractions --Offenses that threaten the health, safety, or well-being of others may result in the assignment of multiple days of in-school suspension, pending disciplinary investigation of the allegations. Student and parent/guardian participation in a conference with the administration is an element of all discipline actions in this category, even if such a conference has previously occurred. Initiation of necessary behavior support services should be given, if not already provided. Fighting is an automatic 5 days out of school for first fight. 2 fights in same year is automatic alternative school placement. This is Campbell County Board of Education policy. Jellico Elementary will convene an annual meeting at the beginning of the school year at a convenient time to which parents of participating children shall be invited and encouraged to attend, to inform parents of their school’s participation in the Title I program and to explain parent involvement and to explain the requirements of this part, and the right of parents to be involved. Meetings will be scheduled at other times during the school year to disseminate testing and report card data and to give the opportunity for parents to observe their child’s classroom during instruction time. Jellico Elementary Parent Involvement Policy will be developed with parental input and will be distributed to all parents. Jellico Elementary will insure that parent meetings will be held at different times of the day so that more parents can attend. Jellico Elementary will involve parents in the planning, reviewing, and improving parent involvement programs, school parental involvement policy, and the joint development of the schoolwide program plan- TSIP. Jellico Elementary will provide parents with timely information. Jellico Elementary will provide the opportunity to explain to parents of participating children the school curriculum, to explain the forms of assessments-what it measures, how to understand the results, and explain student proficiency levels. 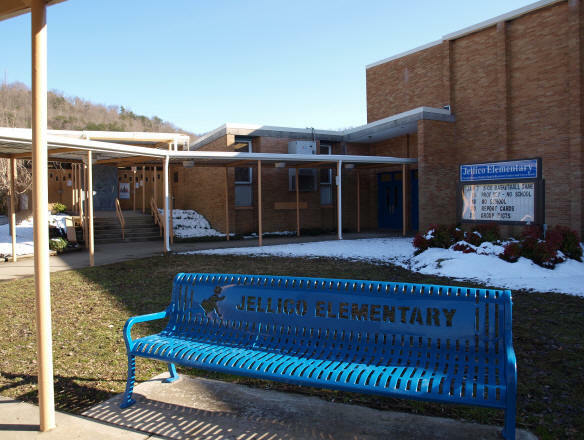 Jellico Elementary will set up meetings requested by parents to give suggestions and be part of the decision making about their child relating to the education of their child, and respond to the suggestions as soon as possible. Jellico Elementary will develop and distribute the school-parent compact that outlines how parents, the entire school staff, and students will share the responsibility for improved student academic achievement and the means by which the school and parents will build and develop a partnership to help children achieve the State’s high standards. This compact will be described and discussed at the annual meeting and also discussed at the Parent-Teacher conference(s). Jellico Elementary recognizes the importance of communication between teachers and parents, and will provide for better communication by conducting parent teacher conferences to address student progress at least once a year for elementary schools, frequent child progress reports for parents, access to staff, opportunities to volunteer and to participated in their child’s class, and observation of classroom activities. Jellico Elementary will build capacity for involvement by helping parents understand topics such as the State’s academic content standards, State student academic achievement standards, State and local academic assessments, the requirements of parent involvement, and how to monitor a child’s progress and work with educators to improve the achievement of their child. Jellico Elementary will provide materials and training to help parents work with their children to improve their children’s achievement, such as literacy training and using technology. Jellico Elementary will educate teachers, pupil services personnel, principals, and other staff, with the assistance of parents, in the value and utility of contributions of parents, how to reach out to, communicate with, and work with parents as equal partners, implement and coordinate parent programs and build ties between parents and the school. Jellico Elementary will provide full opportunities for the participation of parents with limited English proficiency, parents with disabilities, and parents of migratory children, including providing information and school reports in a language such parents understand.